One of the biggest benefit of VSAN is the ability to specify granular storage policies on a per Virtual Machine basis. These storage policies is managed through VMware's Storage Policy Based Management system and is automatically enforced by VSAN to ensure compliance. A VM Storage Policy can be assigned during the initial deployment of a Virtual Machine or it can be modified afterwards, for example if the Virtual Machine's SLA's has changed because the workload has changed. From the vSphere Web Client, modifying a Virtual Machine's VM Storage Policy is simply selecting the VM Storage Policy and re-applying which is also available programmatically through the vSphere API. Once the Virtual Machine has been reconfigured, we can then take a look in our vSphere Web Client and we can see the VM Storage Policy has now been changed and VSAN will automatically enforce these new requirements. If you wish to assign a VM Storage Policy as part of a new Virtual Machine creation, you just need to set the vmProfile and profile properties which is similar to a reconfiguration operation. 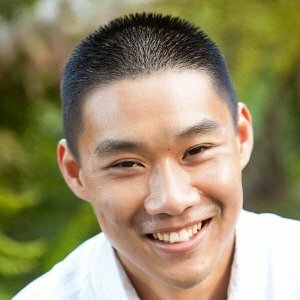 Thanks for all your posts on the vSphere APIs! I have read these posts on the VM storage policies. 1. Deployed a 3 node VSAN using your template. 2. Created a storage policy with a rule set of just a single tag. 4. Created a VM with the vSanDatastore and associated the policy. From this post I see how to set policy information when calling ReconfigVM_Task but how would I just query the current VM policy ID using the vSphere API so that can be used to lookup the policy details in the policy API? I don’t see any objects off of the VM MOR, Datastore MOR or Virtual Disk MOR that has a policyID. Thanks!Can you provide a JAVA implementation for modifying the policy for virtual disks? Very helpful article. Thank you!!! You’ve seemed to have answered you own question already 🙂 by posting over in http://www.virtuallyghetto.com/2013/09/vm-storage-policy-apis-aka-storage.html As I’ve mentioned, you’ll need to use the combination of the two APIs, as they’re different endpoints. If you just want to list them or perform general operations on them, you’ll need to use the VM Storage Policy API which is NOT part of the vSphere API. Once you’re ready to assign, then you’ll use the vSphere API. 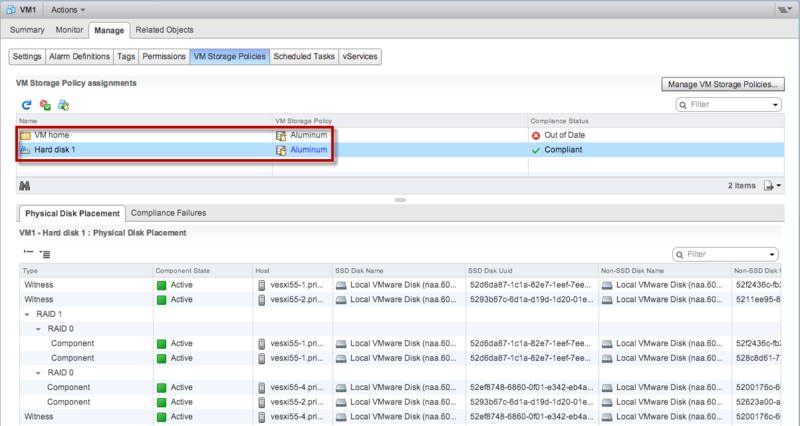 Is there is any way to reapply the VM storage policy to all out of date entry.